Welcome to Rusty's Garage in The Woodlands. 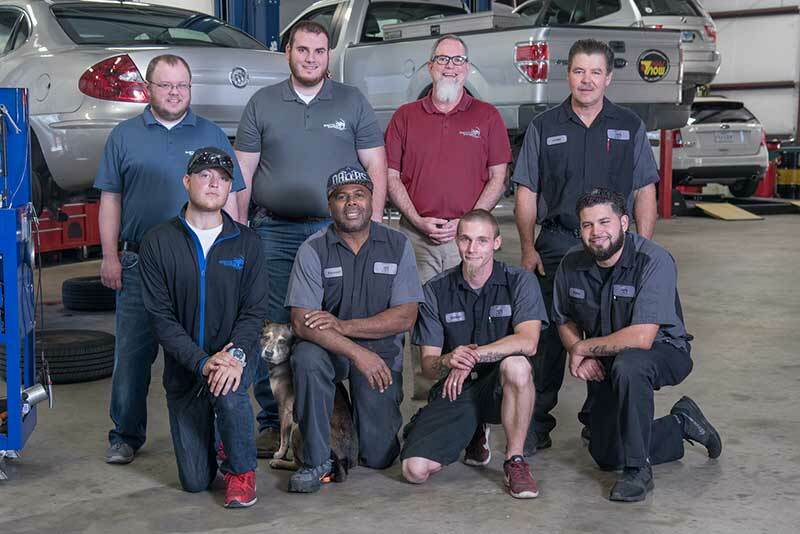 Expect to work with a team of skilled auto mechanic specialists and customer service advisors who are genuinely committed to providing an A+ auto repair experience. Owner of Rusty's Garage, Pat DePugh, is no stranger to auto repair. In 1995, he opened up an automotive A/C shop. This piqued his interest in all aspects of auto repair and he had that shop for 11 years. Pat continued his passion for auto repair and opened Rusty's Garage in 2009. We want our customers to remain with us for the long term at Rusty's Garage. Our team isn't just trying to sell you something. Our auto mechanics are professional, personable, and honorable. The auto repair industry is always changing so it's important for us to stay on top of the most current and advanced diagnostic systems, tools, and equipment on the market. Whether you visit us for a minor repair or major services, each and every issue will be handled with an in-depth inspection and thorough repairs. We'll communicate clearly with you every step of the way to make sure you're aware of exactly what is happening. We understand that your day shouldn't have to come to a halt just because your car did. Rusty's Garage is happy to offer you free shuttle service, an Uber, or a loaner vehicle so you can stay in motion while we're servicing your vehicle. We also welcome you to wait in our comfortable waiting area and enjoy some coffee. You can even hang out with our adorable auto repair shop dog, Rocky. At Rusty's Garage, we proudly offer a 5 Year warranty so you can be certain that auto repairs are performed to last. "Very pleased with the entire experience. Friendly, honest and prompt service. Ryan is great to deal with. Send him a text and he responds right away! They diagnosed and fixed a complicated problem in under 24 hours! Their communication was great and I never wondered what was going on. Rusty's has earned a loyal customer." -- Clint S.
Rusty's Garage looks forward to helping you with your car's auto repairs. Schedule an appointment today. We're conveniently located at 25143 Melda Road, Building B, in Spring, TX, 77380. Our hours are 8:00 AM - 6:00 PM, Monday - Friday. We serve the communities of The Woodlands, Spring, Magnolia, and Conroe. The proficient auto mechanics at Rusty's Garage will take care of auto repairs and get you back on the road in no time!